Another wedding season is almost upon us. After a holiday season filled with surprise engagements, many new brides-to-be have begun planning their big days and are already realizing just how quickly wedding expenses can add up. There are so many details that go into the planning of a wedding — from the dress to the cake to “wait, where are we having this thing?” — and they all have a price tag. Wedding stationery and paper products can be tragically overpriced, but if given the right tools, it is one of the many projects you will be consumed with that you can confidently trust yourself (or your wedding party) to DIY. For place cards, there’s the Avery Place Card Template. The Avery Place Card Template is an easily customizable template that features an unassuming color customizable heart and scroll design perfect for any occasion. 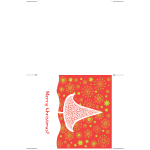 Download the Avery Place Card Template for free on this page. Once downloaded, the template will appear listed in your available templates list. Open Microsoft Word. Make sure you are using the version compatible with the place cards template (Word 2007 or later). Click on the File tab, then New, and Templates and Documents. 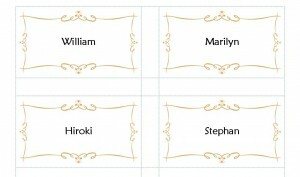 Once you’ve chosen the template from the list, a new window will open launching the template’s 8 decorative place cards. Customize each place card with your guests names. Double click inside a customizable area of the template to enter your own text, and repeat with each card until everyone is accounted for. 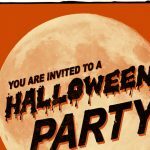 Change the color of the heart and scroll design to match a primary or accent color of your event, and change the type font to suit your taste. 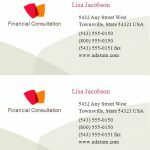 Save your place cards and print them out on textured paper or card stock. When it comes to any event, it’s the little things that really shine and make things memorable. Place cards are one of those things. Use the Avery Place Card Template to easily create your own beautiful place cards for any event.